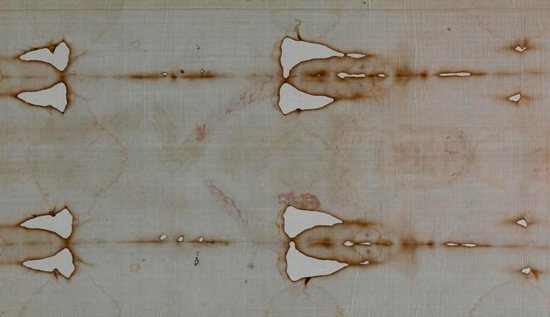 A leading expert on the cloth believed to be the burial shroud of Jesus dismissed a new study claiming that blood patterns on the shroud are not consistent with those left by a crucified person. In an interview with Vatican News July 17, Emanuela Marinelli, an expert on the Shroud of Turin, said “there was nothing scientific” about the experiments conducted by Matteo Borrini, an Italian forensic scientist, and Luigi Garlaschelli, an Italian chemist. “If this is considered science, I guess I’ll just have to take my degree in natural sciences and throw it away,” she said. The 14-foot-by-4-foot shroud has a full-length photonegative image of a man, front and back, bearing signs of wounds that correspond to the Gospel accounts of the torture Jesus endured in his passion and death. Garlaschelli posted a video of the scientific experiment on YouTube in 2015 using a live person to study the blood patterns in various positions as well as pressing a sponge against a plastic mannequin to examine the way the fake blood flowed. The church has never officially ruled on the shroud’s authenticity, saying judgments about its age and origin belonged to scientific investigation. Scientists have debated its authenticity for decades, and studies have led to conflicting results. A 1988 carbon testing dated the cloth to the 12th century, leading many to conclude that the shroud is a medieval forgery. However, scientists have challenged that claim by noting that the methodology of the testing was erroneous and that the sample used in the carbon dating process was a piece used to mend the cloth in the Middle Ages. Citing a 2009 Reuters interview with Garlaschelli, in which he admitted that another experiment meant to disprove the shroud’s authenticity was funded by an Italian association of atheists and agnostics, Marinelli told Vatican News that studies that question the veracity of the Shroud of Turin are often funded by ideological groups with clear agendas.